In all emergencies, contact the Campus Police dispatch center, 413-585-2490. If the phone line is not operational, call 413-538-2304. For information about delayed openings, early closings, cancellation of classes, curtailed operations at Smith or weather emergency information, call the Smith Information Line at 413-585-INFO (4636). The Info Line is the college’s only official weather source. An updated announcement of storm delays or closings will be available beginning approximately at 6:30 a.m. on the affected workday. If possible, an announcement will also be posted on the Smith website and sent to all students and employees via email. Please note: classes will not be held when the college is closed. This applies to full-day closings, early closings and delayed openings. 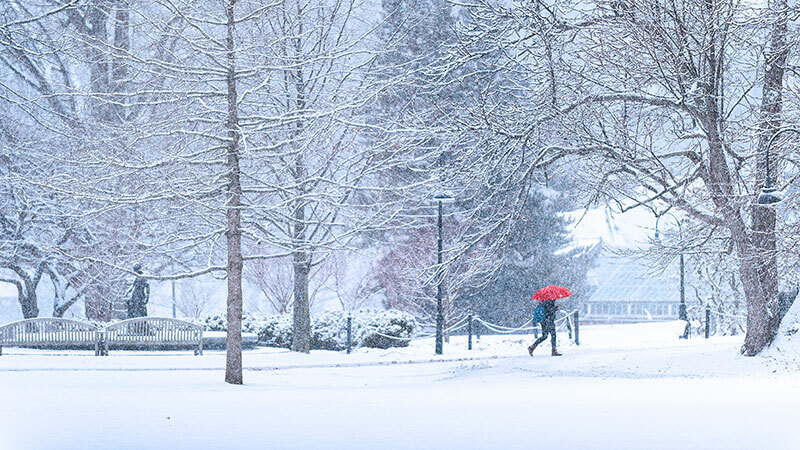 While administrative and academic offices are closed, employees may be required to report to work to maintain essential functions of the college. Employees who have questions regarding expectations during closings should check with their supervisors. For news on delayed openings or cancellations, tune in to WWLP-TV Channel 22; or WGGB-TV Channel 40. The Campus School of Smith College has its own procedures for closing and follows Northampton Public School snow day calls. Notification of a Campus School closing is submitted only to the television stations by the Campus School principal and is not put on the Smith Information Line. Smith students, as well as faculty and staff who are Northampton residents, can receive Northampton emergency notifications, including winter parking bans on City streets, via cell phone by signing up at the city’s website. Personal information will not be shared. Please note that when the blue lights on the traffic signals in downtown Northampton are flashing, a winter parking ban is in effect and there is no overnight on-street parking in Northampton.